Description: Sydney table features strength and sophistication. 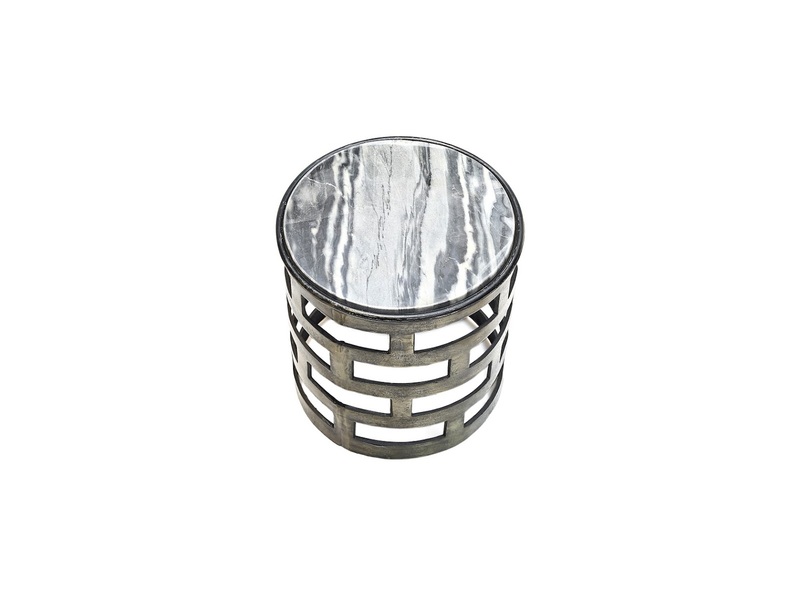 Combined in this contemporary and stylish barrel table, complete with an antique finish. 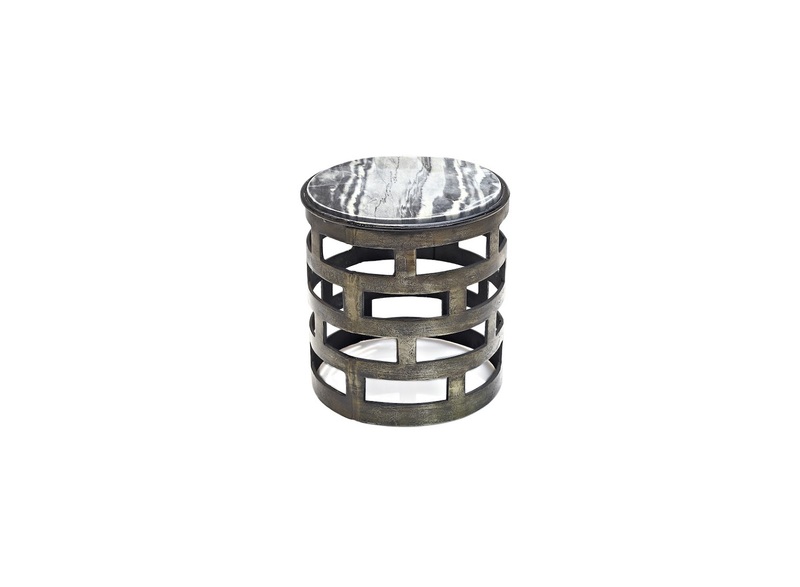 The brick design metal table is accented on top with a unique grey and white wave design marble.Each piece is finished by hand by artisans and is unique.